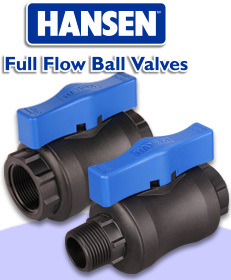 The Hansen HiFlo valve range incorporates the Bowl, Trough, Tank, Reservoir, Ball, Foot & Check Valves. 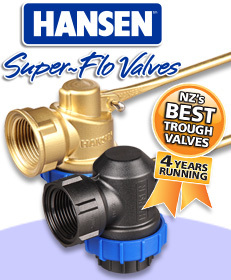 Manufactured to the same high quality and principals and standards as the rest of the Hansen range, these valves display exceptional flow characteristics and would be a welcome addition to any system looking to incorporate them. 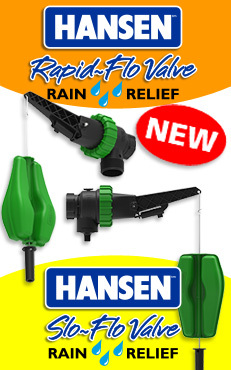 High performance, cost effective Rain Relief Valves available in either Full or Restricted flow options. 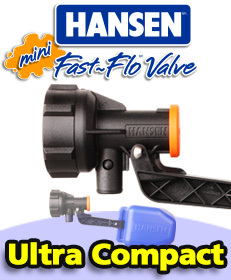 Ultra Compact, high performance valve ideally suited to very tight fitting spaces. 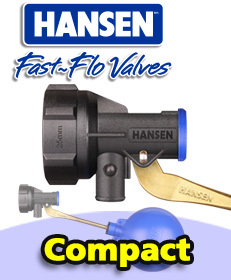 Compact, high performance valve ideally suited to tight fitting spaces. 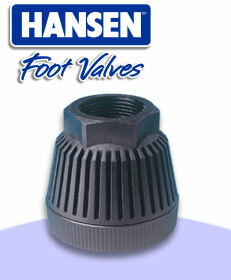 High performance, cost effective Trough valve available in plastic or brass. NOW AVAILABLE at your local rural supply store. 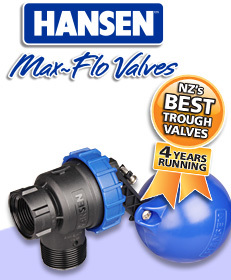 High performance, cost effective Trough/Tank valve. 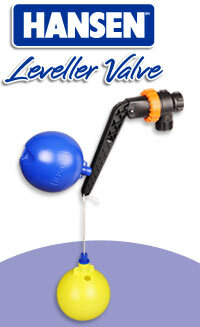 High performance, cost effective Reservoir/Tank valve. 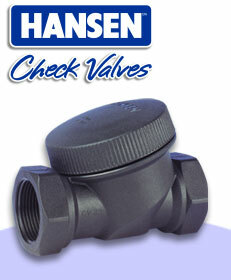 Used in-line as a non return valve to stop fluids flowing back through your system. Used on the end of a suction line to stop the fluids in the line emptying when the pump is turned off. This eliminates the need to prime your pump each time you start it. (1", 1 1/4", 1 1/2", 2", 2 1/2" BSPT/NPT).